The 3-day course aims to enhance students dressmaking techniques through pattern design , sewing up seams, fly zipper, seam pockets and waistband. 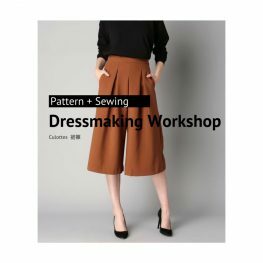 Finally, student can make up a pair of culottes. Completed “Learn to Sew in 3 Days” course.